Button–tufted long–wearing upholstery. Decorative antique brass nailhead trim. Comfortable foam–cushioned seat and back. British Sturdy hardwood frame built to last. 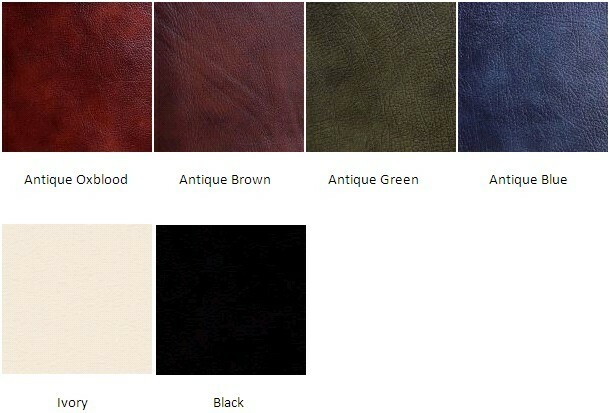 The Chesterfield Admirals Swivel Chair is available in the following leather colours below. Please click here for a brief history on our Chesterfield Sofas.